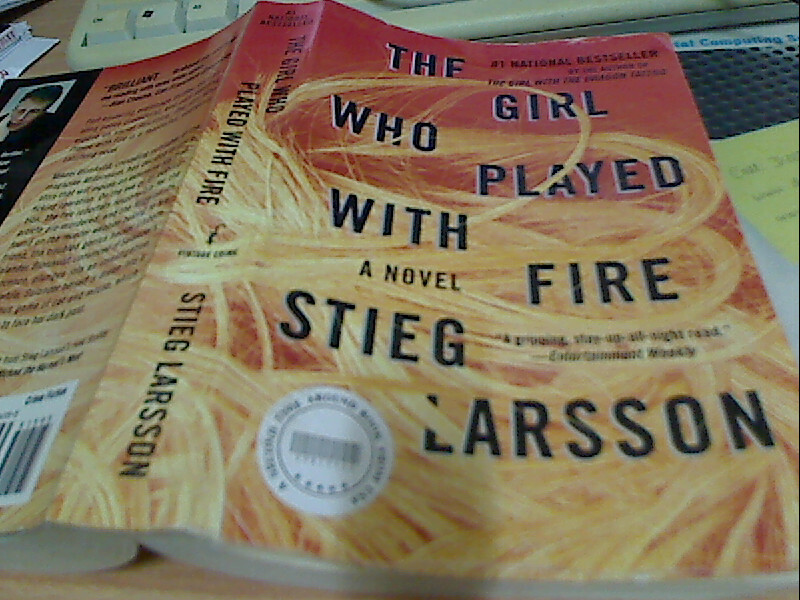 The Girl Who Played with Fire is the second book in the trilogy by Stieg Larsson. 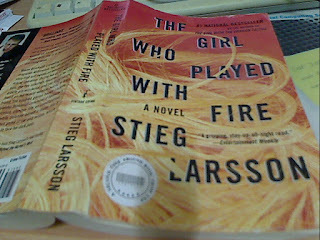 It's the continuation of The Girl with The Dragon Tattoo. Although the story in Tattoo ended, a the continuation of the story of Lizbeth continues. The story is very fast paced. Much faster than Tattoo and readers get to know so much more about Lizbeth's past. A few incidents in Tattoo that was thought as random was revealed to be not so random after all. I am really at a lost as to what to say about this book except that it's very good. Extremely thrilling and fantastic in every aspect a thriller is. You can read Fire without Tattoo but it's best you read Tattoo first and subsequently the final book, The Girl Who Kick The Hornet's Nest. I don't have Hornet's Nest so I am now looking for it.